You are at:Home»Lex Bulletin»Ignorantia Juris Non Excusat! -Pooja Vohra, Symbiosis Law School, Noida. In the midst of lawlessness in the country, setting a trend that could soon be followed, Central Board of Secondary Education has introduced legal studies elective for senior secondary classes across all India. The curriculum will include theory and nature of political institutions, historical evolution of Indian legal system, civil and criminal courts and processes, nature and sources of law, family justice system, arbitration, alternate dispute resolution and human rights in India, tribunal adjudication, international context, and legal profession in India, according to Times report. While this course would give a competitive edge to students who wish to prepare for a career in law, studying law generally would make students familiar with understanding of public affairs and enhance their awareness towards their entitlements and duties as a citizen. Courses like railway ticketing, nursing and other fields being already in place, the elective for law should have been introduced much before. 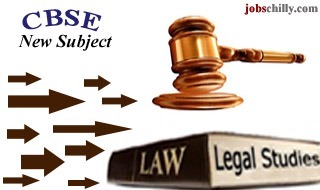 The basic idea is to have an introductory course in law so that those who opt for it develop an interest in law. Law is still despite its career prospects not a preferred option, for instance, when compared with engineering because it is not being taught at school level. The idea of law according to the CBSE is to create a safer society. “Over time, law has become looked at only as a professional course, but every person has to know the law. 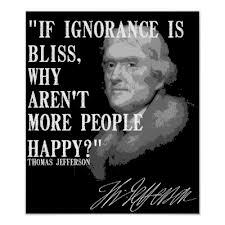 In court, ignorance of the law excuses no one. It would help citizens know their obligations, rights and duties. It will help individuals understand the system, and to respect each others’ rights. In a civil society, individuals will know to what extent they can fight, and what their rights are, according to Sadhana Parashar, Professor and Director of Academic Research, Training and Innovation, CBSE. It is a welcome move though not without its criticisms. “Basic history and polity is good enough for anyone who needs a taste of law, you don’t need to know core law before attempting CLAT. My primary concern is that schools are becoming super-specialised at too early a stage”, commented Diptasri Basu, executive director at Increasing Diversity by Increasing Access to Legal Education (IDIA) – a non-profit initiative training underprivileged CLAT aspirants. “While teaching legal studies in schools can be tested as an introductory scheme, apart from encouraging a few students to do law I don’t think it will have too much of an impact in the number of people taking law up. A lot depends on the syllabus framed and the expertise of the teachers engaged in taking up the subject. Teaching school students CPC or CRPC, as is mentioned in the proposed syllabus, does not make sense at all”, she added.